At least 8 people were wounded after a new armed confrontation that occurred yesterday (Nov 20) in the vicinity of the town of Carrizal de Bravo, municipality of Leonardo Bravo in the mountain range of the entity; stopping the return of displaced people to their communities in Guerrero. While the bishop of the Chilpancingo-Chilapa Diocese, Salvador Rangel warned that it will be very difficult to agree a Christmas truce between the armed groups of Chichihualco and Tlacotepec, arguing that "money and ambition" is stronger than the desire for peace and live in harmony in the Sierra. 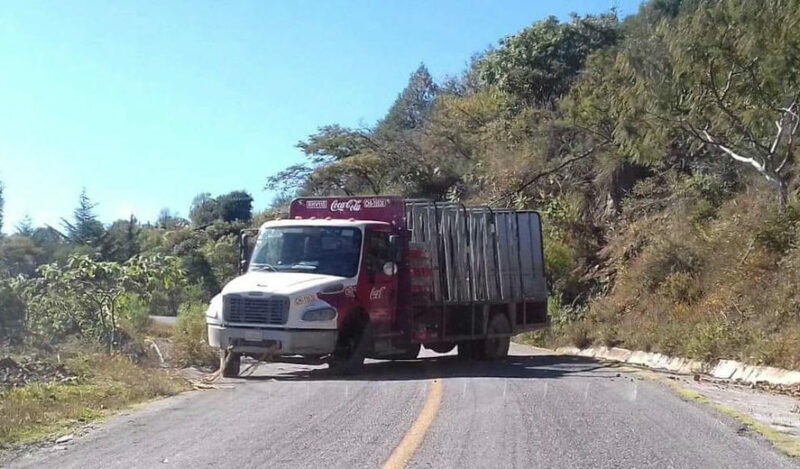 The violent acts caused the closure of the Xochipala-El Mirabal stretch of highway in the municipality of Eduardo Neri, where armed individuals crossed a Coca Cola truck across the roadway to block the passage of motorists, according to official reports. The shooting was carried out by the armed groups called Chichihualco Citizen Police and the community guard of Tlacotepec and focused on the towns of Filo de Caballos and Carrizal de Bravo where the conflict that has led to the forced displacement of entire families is maintained. In this regard, the mayor of the municipality of Leonardo Bravo, Ismael Cástulo Guzmán, confirmed the scuffle, but said he had no information about the situation in that area where violence prevails. 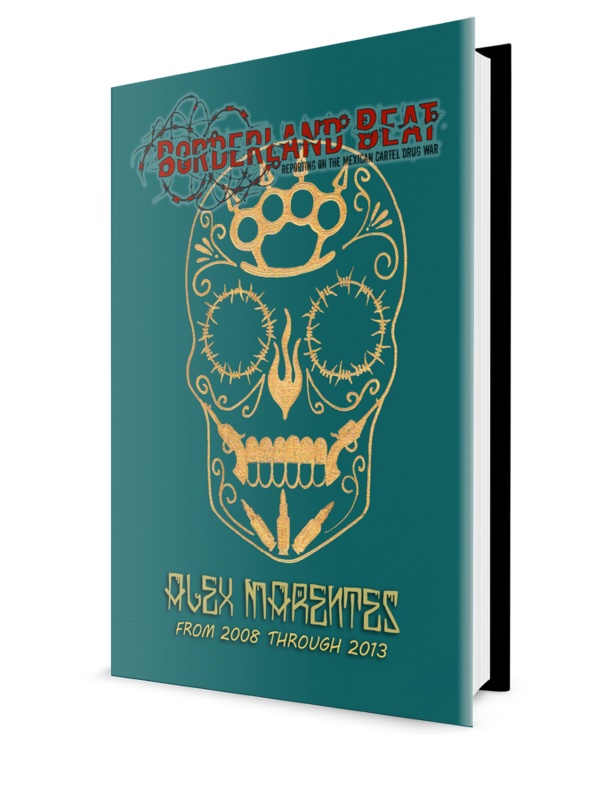 However, official sources confirmed that the shooting had left at least eight people injured, who were treated by medical services from Tlacotepec and guarded by soldiers. For his part, the Catholic bishop of the Diocese of Chilpancingo-Chilapa, Salvador Rangel Mendoza, reiterated his call to the authorities to address the humanitarian crisis in the Sierra. The prelate visited the families displaced by the violence that remain crowded in the roofed courtyard, enabled as a temporary shelter, in the town of Chichihualco, municipality of Leonardo Bravo. Also, he exhorted the Catholic faithful to support the displaced and his message to the victims was: "bad weather, good face". Rangel Mendoza said it is very difficult to agree a Christmas truce between the armed groups of Chichihualco and Tlacotepec, arguing that money and ambition is stronger than the desire for peace and live in harmony. The attack that left no fatal victims, prevented residents of Campo de Aviación, Filo de Caballos and Puentecillas from returning to their communities, which are still taken by the community guard of Tlacotepec. 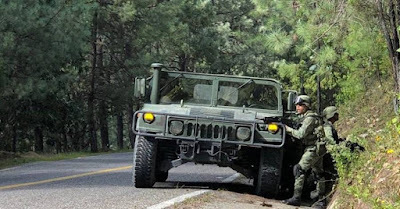 An armed group attacked with bullets the caravan of people displaced by the violence of the Sierra de Guerrero, despite being guarded by soldiers and state police, and accompanied by state officials, representatives of human rights organizations and reporters. A day before, the government of Hector Astudillo Flores had assumed the commitment with the victims to guarantee the return to their villages and to fold the armed group of Tlacotepec. 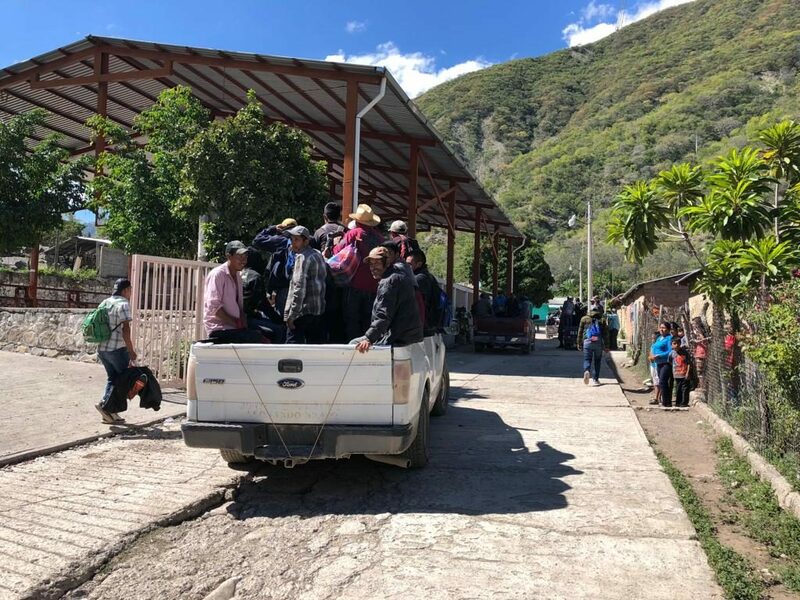 Around noon yesterday, more than 200 displaced people left Chichihualco in an extensive caravan of cars that traveled along a winding dirt road between wooded landscapes and fields of marijuana and poppy, scattered in the bowels of the Sierra Madre del Sur. Two hours later, the victims who were expelled from their communities last week and remained refugees in overcrowded conditions in Chichihualco, arrived at Los Morros and when they were preparing to continue advancing towards the town of Campo de Aviación, municipality of Leonardo Bravo, recorded the armed aggression on the road. In the face of violence, residents of the sierra were unable to return to their communities. 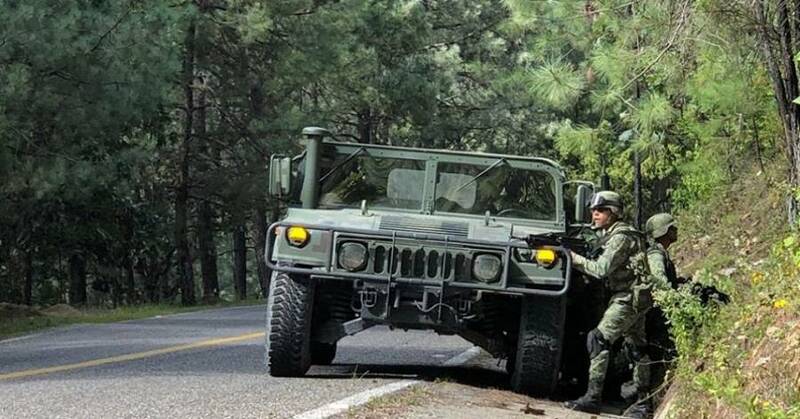 The shooting was perceived directly by a military patrol and a group of reporters who were traveling in two cars, on a wooded road and from a mountain arose gusts. While the soldiers and reporters were sheltering on the slope of a hill, the undersecretary for Political Affairs of the Government Secretariat, José Martín Maldonado del Moral, who was traveling in an armored truck and escorted by a state police patrol, decided to return to the town of Los Morros to take refuge. 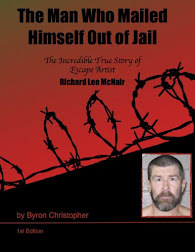 The nervousness of soldiers and police who sought to determine the origin of the armed aggression, caused a soldier to operate his weapon accidentally and unleashed a verbal confrontation between uniformed. Immediately, soldiers and policemen toured the area on foot, until arriving at the town of Campo de Aviación where members of the armed group of Tlacotepec were stationed in the hills and kept blocked the road with a dump truck that was crossed on the paved road. In this way, the community guard of Tlacotepec prevented the advance of the caravan and the return of the displaced from the violence to their communities, who decided to return at night to the same audience of Chichihualco due to the lack of guarantees and the absence of government. This after the state official who headed the caravan, failed in his attempt to dialogue with the community of Tlacotepec to evict the towns they keep taken in the municipality of Leonardo Bravo. While a part of the group of displaced, stayed in the town of Los Morros where another armed group called Citizen Police is maintained. In this regard, the PRI mayor of Leonardo Bravo, Ismael Cástulo Guzmán criticized the state government's indolence that is causing the armed conflict in the Sierra to worsen. On the other hand, the visitor of the National Commission of Human Rights (CNDH), Hipólito Lugo Cortes, considered that the presence of armed groups prevents guarantees for those displaced by violence from returning to their communities. Meanwhile, the Secretary General of Government, Florencio Salazar Adame and the spokesman of the astudillista administration, Roberto Álvarez Heredia limited themselves to polemicizing in social networks, arguing without presenting evidence and explaining reasons, that the shooting attack against the caravan of displaced people was treated simply of "shots in the air".